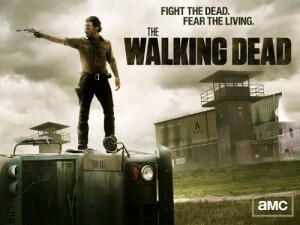 Since its inception in October of 2010 I have been a huge fan of The Walking Dead. I will fully admit that I am a fan of the Television Series and have not read any of the Comic Series (I hear there are quite a few differences). My big justification for not reading the series is that I want to see how the Television Series is done before I go back and read the Comics and plus I don’t want the comics to give away any of the story arcs for me on the TV series. With that being said I think we should take a look back at some of the highlights from the thirty-four episodes that have lead up to the Season Three Finale that is airing this week (Does anyone else find it ironic that the Finale is airing on Easter?). Now before I go into detail on the past of this show I want everyone to know that this is your SPOILER ALERT and anything from this point on could, and probably will, ruin the series for you, that is if you haven’t seen it yet. I’ll spare some details but I’m about to give a rundown of season three, my own personal most impactful episodes from the series, and a briefing on what I expect to happen on the upcoming Season Finale. Season Two left us with the group abandoning Andrea on the farm and setting out for safety elsewhere when they were overrun by Walkers. Season Three started us out with the group still in search of shelter and a place to be safe as Lori is expecting to have the baby in the coming weeks. In the distance the group sees a prison and decides to fight their way in and use that as a place for shelter and hopefully a food source. At another location Andrea is being cared for by a very quiet and strange woman that goes by the name of Michonne. Back at the prison while on a mission to try and find food, medical supplies, ammunition, and other basic needs the group is attacked and Hershel is bitten. 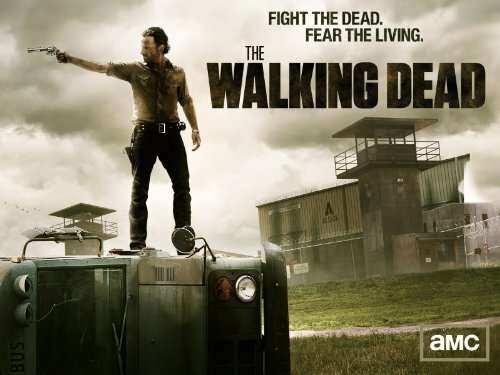 In an attempt to save his life Rick chops his leg off and Maggie ties off the wound, but it is revealed that there is a small group of prisoners living in the prison as well. They eventually get into a fight with the prisoners and over the course of the next few episodes they are all dead. While Michonne and Andrea are out travelling they notice smoke that lead them to a downed helicopter. They then witness the dead helicopter passengers turn into their undead forms and right about then is when Andrea hears a familiar voice behind her. It’s the voice of Merle, Daryl’s long lost brother, and he is welding a metal spike where his hand used to be. She then proceeds to pass out and then she awakens and we are finally introduced to the major antagonist for the coming weeks, The Governor and his town of Woodbury. The next episode was when the season started to take off as we lose two of the original Atlanta survivors in T-Dog and Lori, but we also gain a character in the baby who survived through a troublesome child birth. After the death of Lori is when Rick starts receiving odd phone calls from voices from the past and seeing ghost. Michonne later leaves Woodbury, leaving Andrea behind with the towns people and the Governor. The Governor soon sends Merle and a small group of soldiers out to kill Michonne, to no avail as she dispatches the better part of the group leaving Merle and another soldier. Merle proceeds to kill the other soldier and later returns to Woodbury proclaiming to the Governor that Michonne is dead. Merle didn’t return to Woodbury empty handed though as on his travels to try and kill Michonne he ran into an old friend, Glen, and his girlfriend, Maggie, who he captures. In the process Michonne over sees the capture and takes the supplies that Maggie and Glen were out for back to the prison, after over hearing the two of them talking about it. In Woodbury, Glen and Maggie are beaten and tormented to the point that Maggie eventually reveals as to where their group is hiding out. Later Rick, Daryl, Michonne, and Oscar (One of the prisoners) go on a mission to save Maggie and Glen. Successfully rescuing them they notice that Daryl is now missing. During the mission Michonne received some redemption when she stabbed the Governor in the eye right after she killed his zombie daughter, Penny. It is later revealed that Daryl was captured and he must now battle Merle in a fight to the death. Rick and the group return and allow Daryl and Merle to get out alive. The group eventually dispatches Merle but not without losing Daryl in the process. The Governor wastes little time as he sets out to attack the prison taking the first shot killing Axel (the last of the prisoners). This leads to an all out attack which ends with the Governor crashing through the prison gates and unloading a truck full of zombies on the prison. During the zombie attack Merle and Daryl return and help the group fight off the pack of walkers. Andrea is then given the task of being the line of communication between the two groups. Ricks original savior, Morgan, returns in an episode where it is revealed the his son, Duane, has long since died and Morgan has seemed to have lost his ways. Rick offers him a safe haven at the prison but Morgan refuses. The time finally came when the Governor and Rick finally have a face to face meeting where the terms of a peace treaty are discussed. The Governor tells Rick that all he wants is Michonne and then all is forgotten and gives Rick two days to decide. In the mean time, Andrea becomes aware of the Governors actual plan, which is to kill Rick and whoever else he can, and she eventually breaks out of Woodbury and tries to return to the prison in order to warn the group of his plan. She is captured before she can return to the prison and is put in the torture chair that the Governor had intended to use on Michonne. Rick remains hesitant to tell the group exactly what the Governor wants and tells the group it is all out war, but lets Hershel, Daryl, and Merle know of what the Governor actually wants. While Rick is deciding what to do, Merle decides to take action into his own hands and he kidnaps Michonne and is going to take her to the Governor in an attempt to complete the terms of his agreement. Rick and Daryl eventually realize that Michonne and Merle are missing and Daryl volunteers to go out and search for the two of them…alone. While making their way to meet the Governor Michonne convinces Merle to let her go and Merle sets out to try and handle the situation. Daryl then runs into Michonne as she is tracking back to the prison and she explains that he let her go. Merle leads a group of walkers to the site where Rick and the Governor were to meet and he hides out in a close by barn and starts shooting the Governors army as they are fighting the walkers. Merle is eventually attacked by a walker and that leads to a fight with the Governor where he shoots Merle, ending his life. Daryl eventually makes his way to the same area and he has a face to face encounter with his brother, who is now a part of the undead, and Daryl painfully puts a knife through Merle’s brain repeatedly. That brings us to the Finale, which is to air this Sunday March 31st. So far this has been a very action packed and drama filled season. Honestly, I can say that of the three seasons this one has had the most solid episodes for the whole season. Looking back throughout the whole series it was really difficult for me to pinpoint the most impactful episodes in my eyes, but I’m sure going to try. I’ll try and limit myself to the ten episodes that have been most impactful to me. The Pilot “Days Gone Bye” will always be the most impactful episode of the entire series because it set up the scenario for everything that was going to happen from there on. The following episodes “Guts” and “Tell It To The Frogs” set up for what to expect from Rick’s character. “Vatos” was the first major attack on the group and Ed and Amy die. “Wildfire” completely unlocks what is inside of Andrea as she deals with the death of her sister, as well as gives a glimpse into the start of Shane’s demise. When you get into season two the premiere “What Lies Ahead” sets the entire season up with the three things of Carl getting shot, Sophia going missing, and Shane plotting to leave. “Save The Last One” was most impactful because it fully showed Shane’s full demise as he shoots Otis in an attempt to stall the zombies long enough so he could get away. Pure Evil. That’s also the episode Glen met Maggie and became Love Struck. “Pretty Much Dead Already” was the episode that defined the entire season to that point and the rest of the season was the fallout from Shane unleashing the zombies from the barn and Sophia being discovered in the group. “Judge, Jury, Executioner” falls on the list because it’s the episode Dale died and it also showed just how bad of decisions Carl seems to make. “Better Angels” leads to the farms complete and utter takeover and shows Shane’s death. “Beside The Dying Fire” finalized the season and gave a glimpse of what is to come. Finally we get into season three and get to get into the Governors Story Arc. Other than Hershel losing his leg I felt the premiere “Seed” was the weakest of the three season premieres this far and really not all that impactful. “Walk With Me” was the first real impactful episode of the season for me. In the episode we are finally introduced to the Governor and we also have the return of Merle. “Killer Within” took two characters, Lori and T-Dog, from us but also gave us little baby Judith. After Glen and Maggie’s capture two episodes before in “Made To Suffer” the first battle between the Prison and Woodbury would ensue, in which Glen and Maggie were rescued and Michonne stabbed the Governor in the eye. In “Home” Woodbury makes their return attack and shows off the Governors evil ways. “Arrow On The Doorpost” is the first meeting between the two sides and we get to see where they both stand. Finally, “This Sorrowful Life” gives us a glimpse at the type of person Merle truly is and then be the end of the episode he is killed. Cut the list of episodes in half so far, and now I’ll give my own personal Top Ten Most Impactful Episodes of the Series to the point. Alright so I got it down to thirteen (not to bad) and now I want to take it back to the present and what I think is going to happen. If past seasons are any sign then “The Group” will probably be on the run by the end of the episode. I’ve seen that a lot of people are saying the Governor is going to die but I on the other hand think otherwise because the Governor plays a major role in the Comic so I think that role will be continued for at least one more season. A big thing I have noticed about the series is that there are major events don’t happen in the season finales. They usually happen in the episodes leading up to the finale and I don’t think this year will be any different. I will throw it out there that I do think someone will die. Maybe not a major character but definitely a character we’ve seen more than once. Now I know I’m not an expert but I do have an opinion and this is just that my opinion. Feel free to leave feedback and let me know what you think is going to happen.